Ultimate Compitence. Driven By Responsibility. 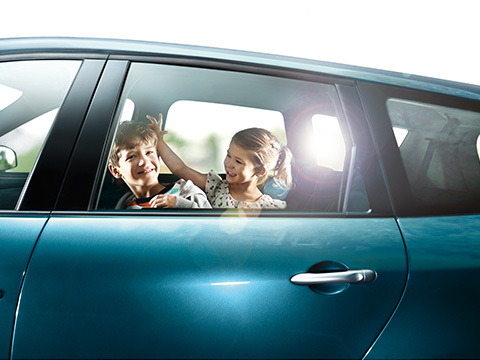 Bosch is at the forefront of manufacturing environmentally friendly products. Bosch's innovation doesn't stop with making the highest quality braking products. 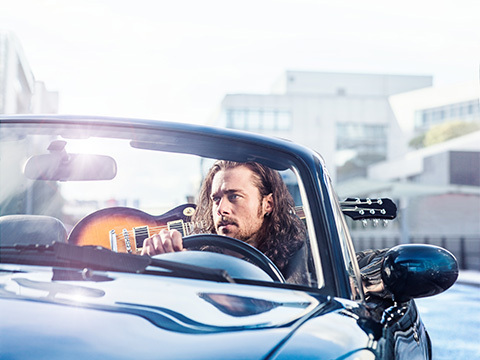 Bosch QuietCast raises the aftermarket brake pad technology to whole new level. The new QuietCast design replicates the OE slots and chamfer to ensure the pads will not make noise. 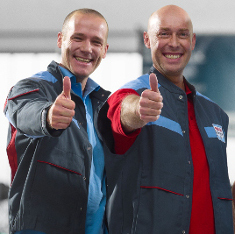 Employing the industry’s best pre-attached, rubber core shims, QuietCast delivers the quiet operation you expect with the durability and long life that are the hallmarks of all Bosch Products. All brought to you by the worldwide leader in braking technology. 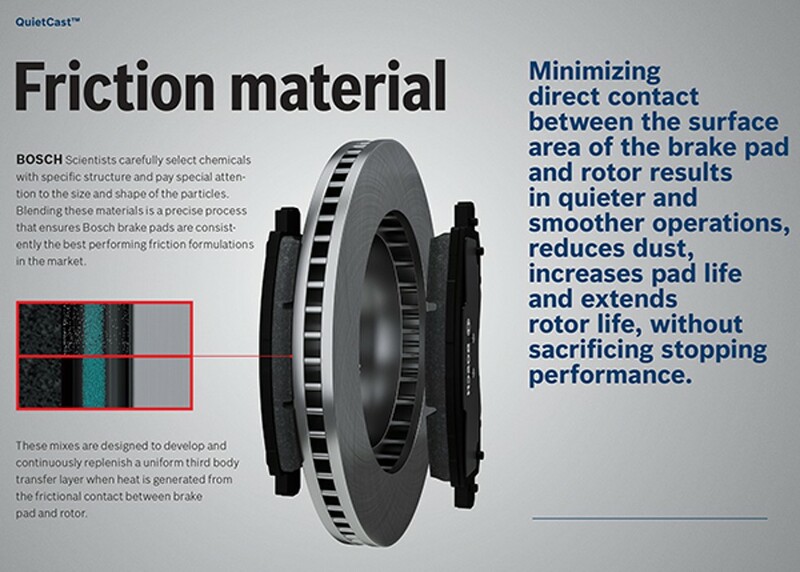 The revolutionary new design and technology behind this new Bosch proprietary copper-free ceramic brake friction formulation are significant industry developments. The new copper-free material was developed over several years and has undergone various endurance tests. This new formula has proven to be successful, ensuring high strength and light weight. Bosch QuietCast Brake Pads are engineered to match braking performance and efficiency precisely to the needs of different types and sizes of vehicles. 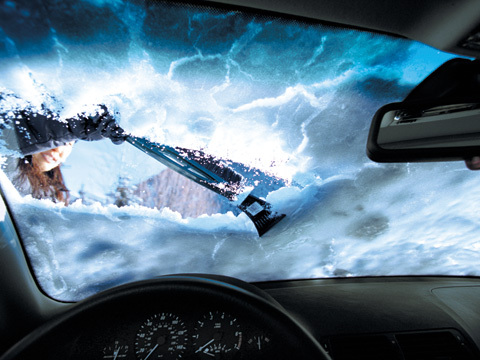 Bosch Blue Brad Pads are perfect for the everyday driver, looking for the best performance at a great price. Bosch Blue Pads utilize the same testing and engineering process as our premium braking line to meet high performance and quality standards. 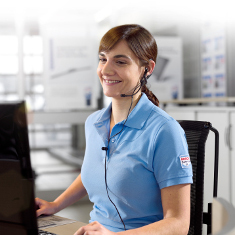 Selected applications of Bosch Blue Pads are towel-wrapped for added protection and value and additionally come with hardware and synthetic lubricant. With the Bosch QuietCast Premium Disc Brake Rotors, Bosch is bringing the OE braking experience to the aftermarket. Bosch rotors utilize innovative materials that ensure the very highest quality and prevent brake judder, noise, vibration and harshness. 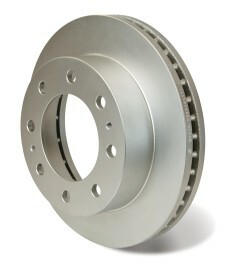 Take no chance when it comes to your brakes and rely on the durability and long life of all Bosch braking products. 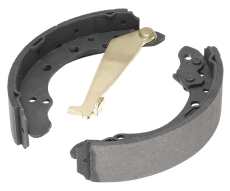 Bosch Brake Shoes are engineered and designed to match the Original Equipment design and provide consistent, superior braking performance.